NOTE: the information below is outdated! Event and booth materials, along with merchandise, are now being tracked in redmine#2233. If you need something, follow the instructions on that page. 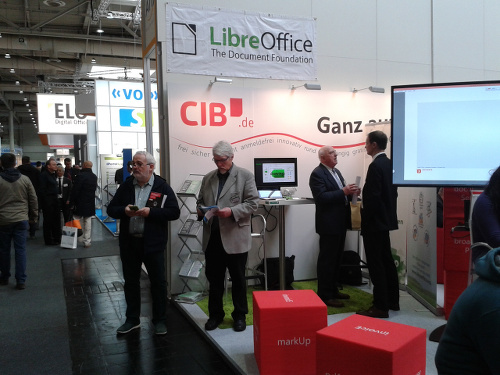 Roll-up banners: "collaborative, productive, open" and "LibreOffice, Free Software for all" 1 of each ??? ??? ??? This page was last edited 11:34:42, 2018-04-24 by Dennis Roczek. Based on work by Mike Saunders and Christian Lohmaier and others.